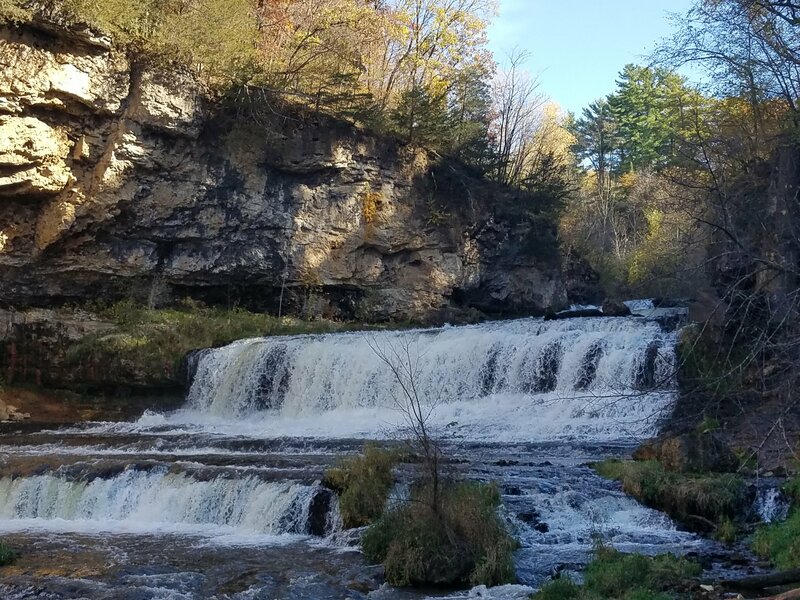 Some shots from Willow River State Park near Hudson, Wisconsin. A quick drive over the border and my favorite stop in our recent trip to Minnesota. An arched canopy of trees over the path to the falls. Climbing the stairway to a heavenly place. Bridge On the River Kwai-et. A sun-hazed journey over the bridge to the falls. Remember Zoe? She loved watching the falls. We had a hard time getting her to leave! Life is full of times of turbulence. But calm aways follows the stormy waters. Zoe enjoying the sights and sounds of her charmed life. C’mon, girl. Let’s go! Time for the next part of our journey. C’mon! C’mon! Good girl! May the majority of all our lives be this straight, and true, and long, and peaceful. Grandma’s bridge back to the path. A final, sentimental glance at the river in the distance as we head for home. I can see why you enjoy this area…quite beautiful. Yes it was. I normally don’t post just a collection of pictures, but after enjoying the beauty of your photography, and the interesting captions and beauty of the travel blogs I follow, I was inspired to post this one. Thanks for letting me share them with you and for your comment. It is greatly appreciated! You are welcome. I’m glad you decided to share! Wow, what a beautiful walk. I very much enjoyed taking it with you! It was pleasure to have you along! Thank you. Thanks for reading. Heal up well! So many beautiful places in this world – all worth preserving! Thank you for the comment. And for the lily pad post. It’s been a rough night, so the encouragement in your post, the pick-me-up in your comment, and the support from your follow was just what I needed. Wow! You captured some beautiful shots!